Would all the REAL Dads, please stand up? As a wedding photographer, one of my favourite parts of the day is documenting the father-daughter dynamic. The first look. The first dance. There is something just so special about seeing a daddy react to his baby girl getting married. It makes my heart happy. Lately, I've been noticing that society puts so much focus on the dead-beat dad. The dad who walked away, who refuses to be in the picture, and even making light of the "dumb" dad who just doesn't seem to quite get it. Who doesn't care to know about his childrens' lives. About their dreams. Who goes to work, comes home, and plants himself on the couch in front of the TV. The dad who just couldn't care less. It's everywhere. It's in our Facebook news feeds, on our sitcoms, in commercials. We're surrounded by this negative image of fathers. I think it's about time for that to change. Here's the thing, people, dads are important. (And not all dads are biological. Some are friends, spiritual, step-dads, or adoptive fathers- it's the mindset that's important here) Sure it's your mom who carries you, who physically shapes you, who gives birth to you, and we will always have a special connection to them for that. But it's the dads who are willing to step up, to take over, and to emotionally and psychologically shape their children that we should be putting our attention on. I could go on and on into statistics from studies on how a child's relationship with their father impacts a person's life, but you guys can find that on your own. So I'll just tell you what I know. This is my father. My daddy. My rock. 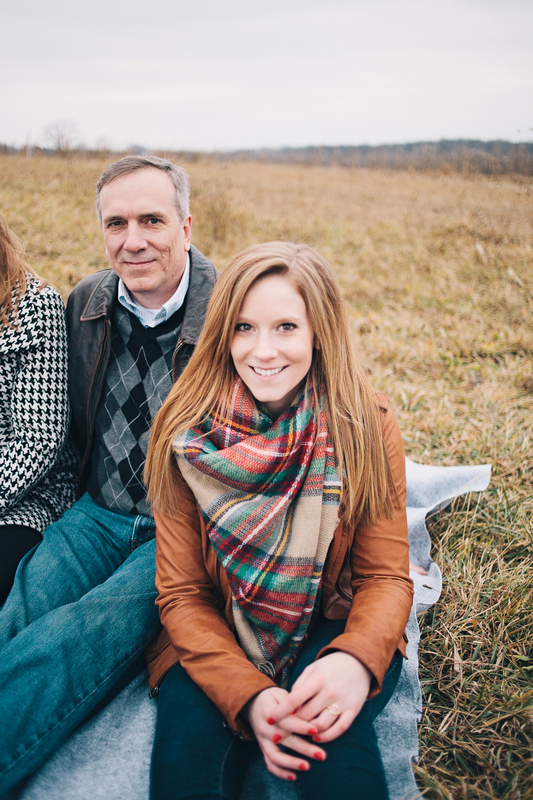 I've never really viewed myself as a "Daddy's Girl," because that's just not quite our dynamic. Seriously. As a kid (even now) he did not let me get away with ANYTHING. No amount of eye lash batting, "but daaaaaddy" whines, or little girl grins could get me out of trouble. And I swear it felt like I was ALWAYS in trouble. But you know what? I see more and more how that tough love has made me who I am today. As much as I rag on him for "giving" me his insomnia, TMJ, temper, these absurdly long legs that make it almost impossible to find jeans that fit, and an allergy to cats that just about broke my heart when I was 7 and ALL I WANTED IN LIFE WAS A STINKIN' KITTEN. He has given me so so many good things. One of my first memories is of me as a little girl (maybe three)... I remember my dad hoisting me up into his lap and him telling me that I was strong. That I was beautiful. That I could do anything I set my little mind to in this world, because that's just who I was. He's always been in my corner, even those times when I was in the wrong corner. He's never been afraid to share his "I learned the hard way" stories, even if I turn around, just to learn it the hard way myself. As much as it kills me to say it: he was always right. Yet even after 25 years of being my father, he's never rubbed it in my face. Not once. He taught me how to live life. To never be afraid to express how you're feeling. That no matter what man comes into my life, he will never be good enough for me, because he's my dad, he said so, and he loved me first. He bought me my first camera, laughed with me as I ran with it. And most importantly, he taught me to always chase after my dreams, no matter how terrifying that felt. Everyone always says I'm a carbon copy of my mom, but if you really get to know the three of us, you'd know that just isn't quite true. And I wouldn't want it any other way. So how 'bout it? Let's stop highlighting the negativity. Let's stop giving the spotlight to the wrong guys. Here's to the men who have carried us. Who have loved us, cheered for us, and shaped us into the people we are today. I'd say that it's time we let the light shine on them.